Have you finally gotten the hang of German vehicle nomenclature? Well, forget everything you memorized regarding Mercedes-Benz in particular because they’ve gone ahead and changed their model names on you – at least as far as their SUV’s are concerned. The ML-Class is no longer the ML-Class. It’s the GLE. The GL is no longer called the GL, it’s now the GLS. 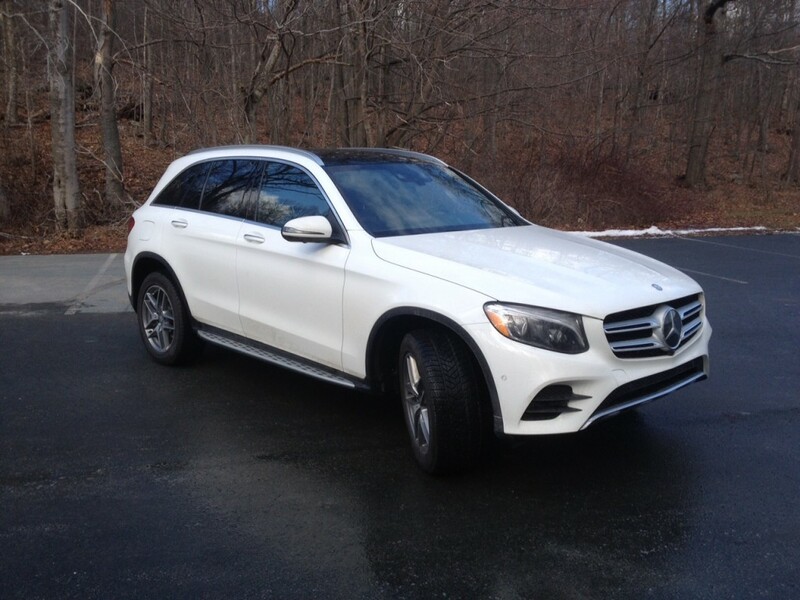 And the GLK? 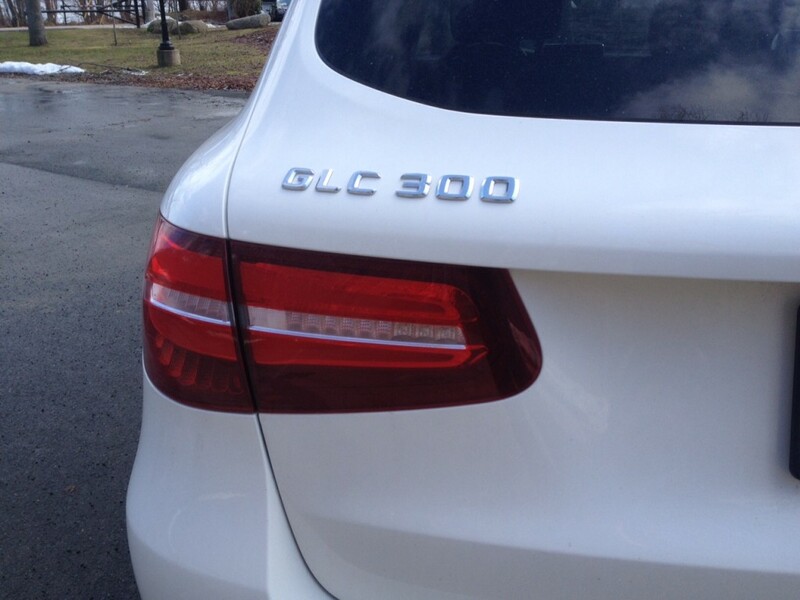 Well it’s gone with new name of GLC. Have you figured out the pattern yet? All the SUV’s begin with GL and the last letter gives you an idea of which SUV it refers to and corresponds with the ‘core’ model in its passenger car line up. So for instance, the GLS ties to the S-Class. The GLE, the E-class, which means the most recently redesigned SUV in the line-up, the GLC, is tied to the C-class. Is this new name scheme entirely necessary? That’s up in the air, but with the compact luxury SUV segment to be among the hottest, most contested segments, Mercedes will definitely need much more than a name change in order to to stay relevant. That’s why a complete redesign is being paired with the new name. Is it enough to keep and maybe add to their share of the pie? I drove one for a week to find out. 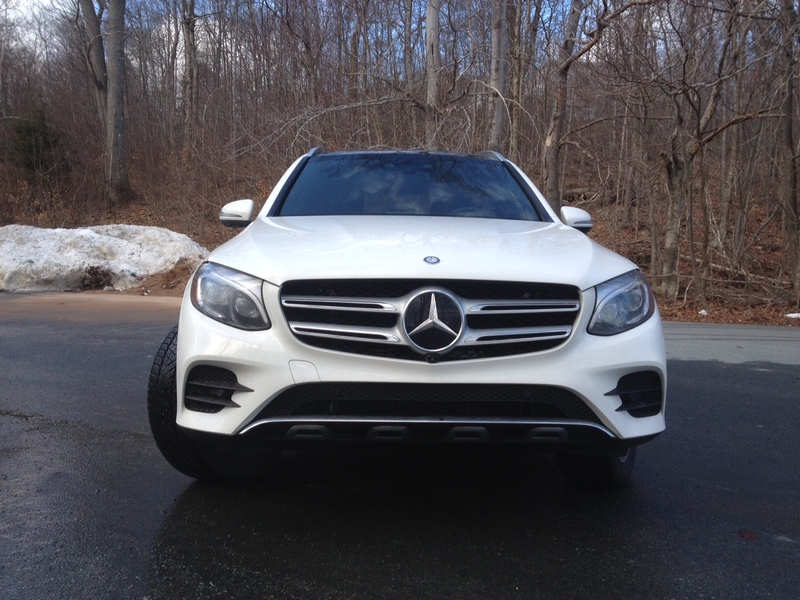 The rugged, boxy look of the GLK one fans almost instantly when it debuted. There’s just something about boxy styling for SUV’s that agree with people. That’s one of the many reasons why the G-Class (yet to take on the new name scheme) is so popular. But Mercedes decided to go for a more rounded off look for the new GLC. I would describe it as ‘softened down’ more so than anything else, appearing almost wagon-like from certain angles. 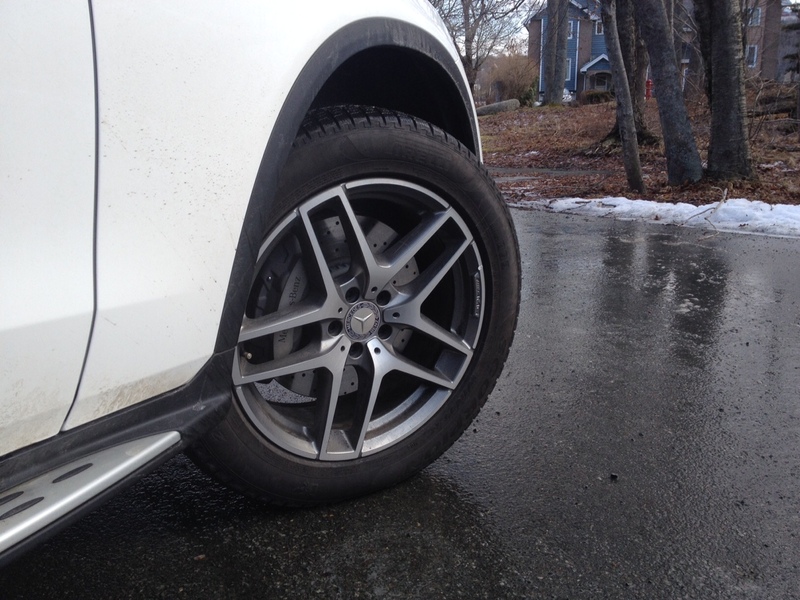 My tester came with the AMG sport package with is largely a styling upgrade which includes 19-inch wheels. My tester also came with optional running boards which do add to the look, but I found them to be mostly in the way for entry and egress on top of being completely unnecessary. 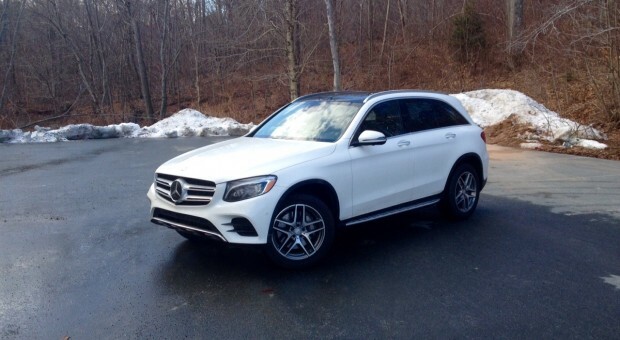 The ride height for the GLC isn’t bad at all in the first place. On top of that, they seemed to easily collect snow which ends up on the back of your pant legs when you get out. 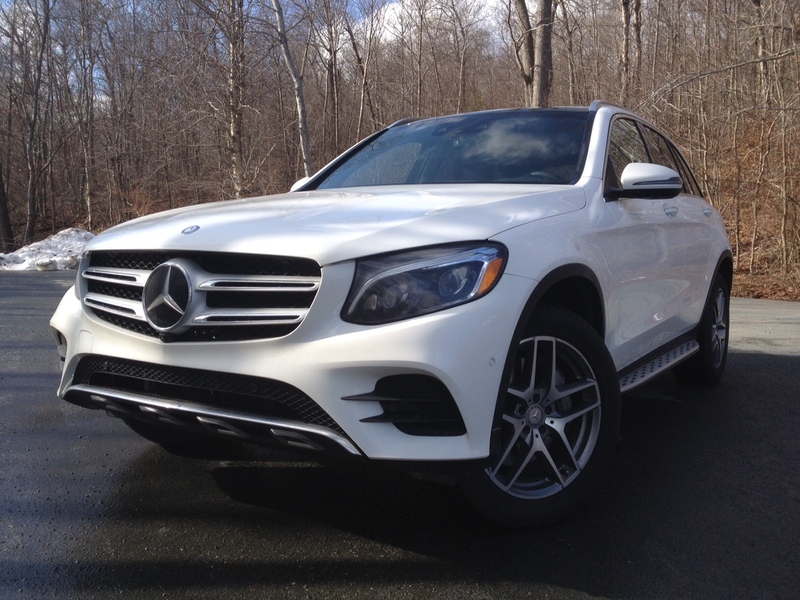 Despite being over four-inches longer and two-inches than the GLK, it still looks to be a bit smaller upon first glance which might have to do with the lowered looking stance. But besides that, the look is fairly attractive, even if I personally prefer the shape of the GLK which had a lot more character. If you’ve ever sat in the cockpit of the new C-class then things should seem very familiar you when you sit in the GLC. They share a lot of similarities including the same steering wheel design and gauge cluster. Most controls are managed through the infotainment screen which is tacked onto the dash. Some have criticized this to seem like an afterthought, or even to look on the cheap side, but I think it looks just fine. The infotainment system is not a touch screen (which keeps it clean from finger prints), but it’s controlled by both a large dial located between the two front seats and is also half covered by a mouse pad if that’s what you prefer. I found both to work fairly well and easy to learn. Fit and finish is exactly what you’d expect from a Mercedes-Benz product. Everything inout together with lots of attention to detail and the interior materials have a high quality feet. The seats are typical German firm which is exactly how I like my seats but those who don’t or are not used to it might find them to be a tad on the uncomfortable side for longer trips. The seats are able to adjust to almost any driver’s preferred seating position and offer decent bolstering to keep you in place. One nice little touch is once the seatbelt is fastened it will automatically give you a light hug to make sure you’re in snuggly. The hug is nice, but I would hate to think what might happen if this feature malfunctioned; it would be more like a bear hug I would imagine. In the rear passengers are treated to their own heated seats along with their own control over climate. Headroom is good as is shoulder room thanks to the wider body. Knee room is good too but don’t expect limo-like real estate for your legs. 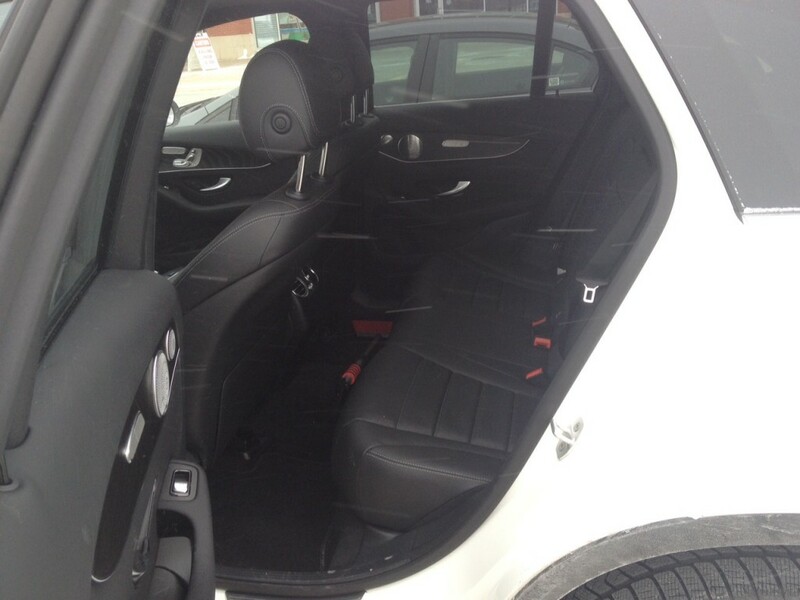 The cargo area offers a decent amount of space and also features a storage area underneath. With the new GLC you can have any engine you want, as long as it’s the 2.0 litre turbocharged 4-cylinder. For now it’s the only engine available though it’s entirely likely that other engine choices will be available down the road such as the return of the diesel engine and a hotted up AMG performance engine. The current unit produces 241 horsepower and 273 pound feet of torque mated to a nine-speed automatic which is controlled by a lever on the steering column. This does take a bit of getting used to. Part of the reason why it’s the only engine available right now could be due to the fact that this new engine is more powerful and cheaper than the diesel and is even closer to its on-paper fuel consumption figures – or at least so claims Mercedes. They have yet to release official fuel consumption figures. Since there are no official numbers to go by, it’s difficult to say whether the 12.1 L/100 kms I managed in mixed driving is what should be expected. One thing is for sure, if we’re comparing to a diesel unit then that number is fairly disappointing, especially since it features an automatic stop-start engine to reduce idling and an ‘Eco’ mode, which I actually ended up using for more than half the time. The reason why I kept it in Eco mode was not only to improve fuel consumption, but because it was still rather good in Eco mode. Most of the time Eco modes on any vehicle are fairly soul sucking, but the GLC still kept a fair amount of responsiveness in this mode. 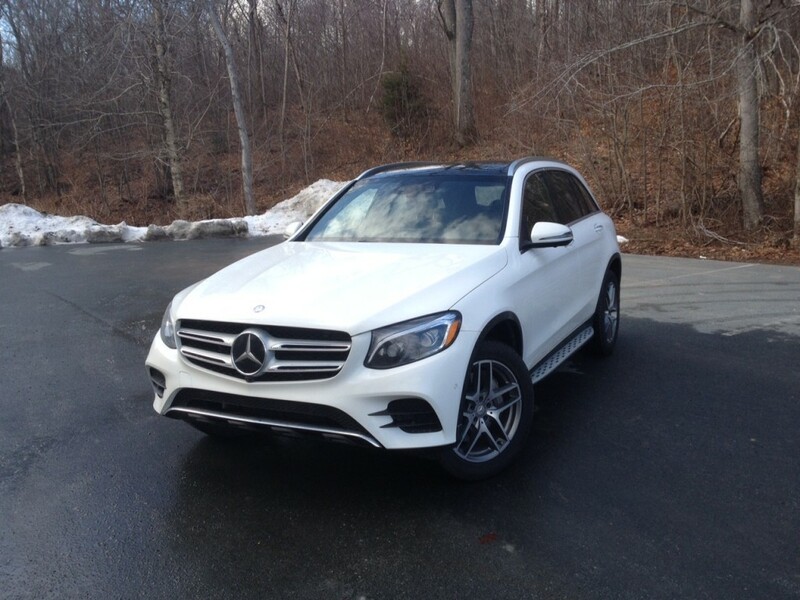 The best part of the different modes is that the GLC transformed noticeably with each mode. Comfort mode, thanks to an activated air suspension soaked up bumps with ease, while sport and sport plus modes awoken the beast within the little four-cylinder. Of the two, surprisingly, the Sport plus mode seemed to be my preferred choice. Regular sport mode made the GLC feel a bit too touchy whenever you went near the throttle which made for a more jarring ride. The power transition from the throttle seemed much more linear in sport plus mode. Handling was better than expected given this is still technically an SUV; I felt more than confident taking corners spiritedly and body roll is kept to a minimum. On the highway, you get that same reassuring solid feel that Mercedes-Benz is known for. 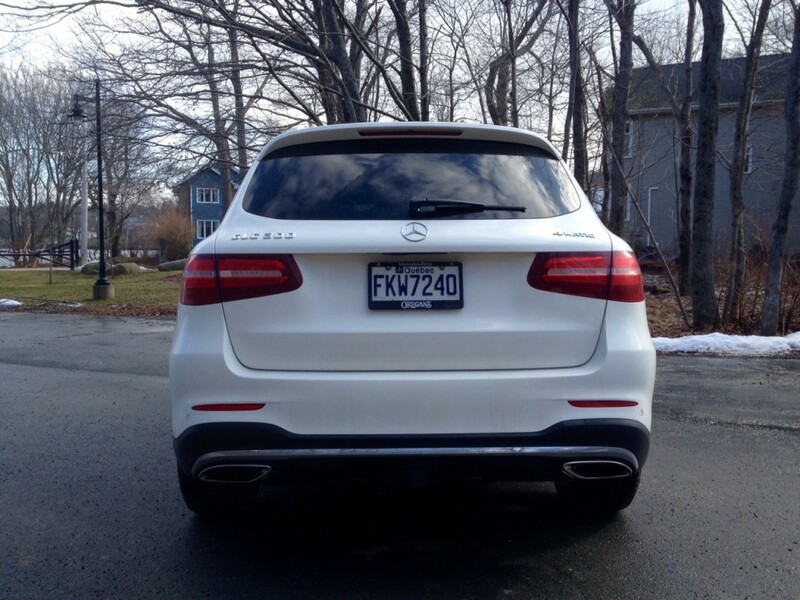 And perhaps that’s why I walked away feeling like this is a much better effort than the GLK was. 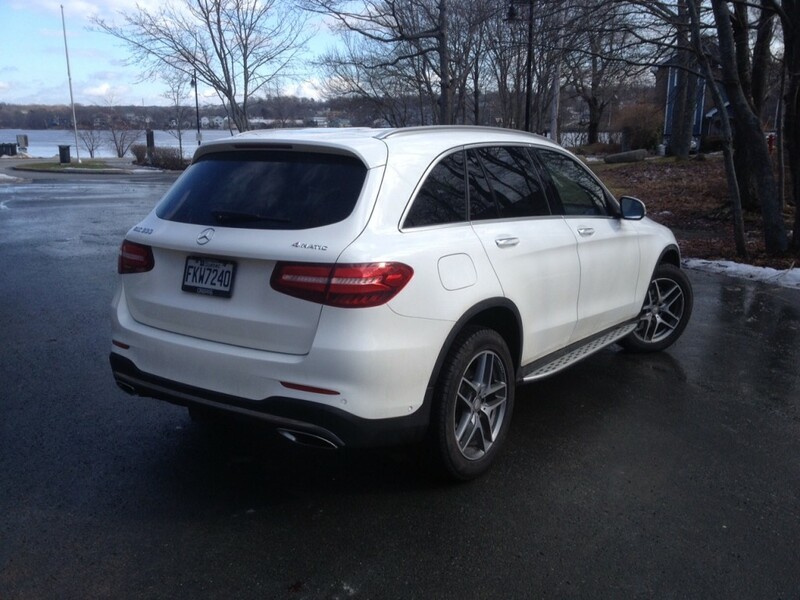 Admittedly I’ve only driven a GLK once and while I think the styling is superior, the drive certainly isn’t. This new GLC has a nicer looking and feeling interior, better handling, is more responsive and has decent interior comfort and room. It used to be that the Audi Q5 was considered to be the go-to in the segment but I’m not so sure. If Mercedes can offer up better real world efficiency, then this GLC in 300 guise really is all you need with a good blend of performance, luxury, roominess and style.